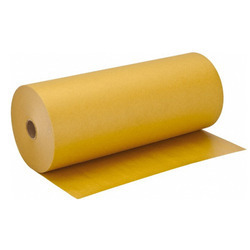 We have established ourselves as trustful firm offering high quality Masking Paper. The offered paper is used widely in painting, art and craft projects, woodworking and other light industrial jobs. Produced by best quality paper based raw materials, masking paper is demanded widely for its unmatched strength and durability. Further, our prestigious clients can avail the quality product in roll form of varied sizes at a leading price. Looking for Masking Paper ?